South-West Scotland Philatelic Societies are holding their annual Stamp and Postcard Festival on Saturday 6 October 2018. Members of the public, collectors and non-collectors alike are invited along to a warm welcome at the event being held at Prestwick Community Centre, Caerlaverock Road, PRESTWICK, Ayrshire, KA9 1HR., from 10am to 4pm. Entry is free, refreshments will be available, and there is plenty of free parking. Dealers from across Scotland will be present with their stocks of stamps, postcards and accessories. 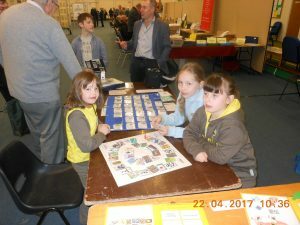 Junior collectors are greatly encouraged and there will be an activity room for young collectors, with stamp-related activities, displays and demonstrations. Why not bring the children or grandchildren?